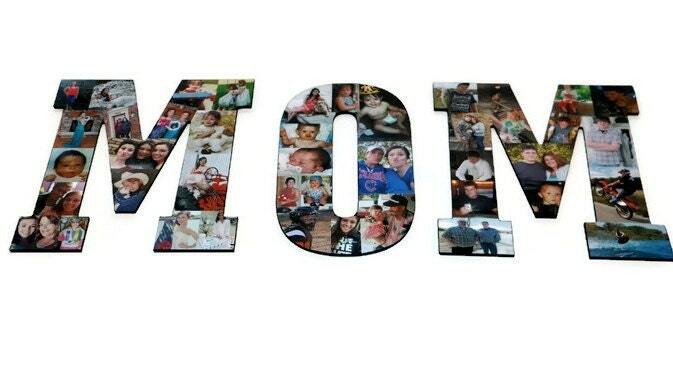 13.5" Letters Picture or Photo Frame, Photo letter collage, Picture Collage, Initial, Personalized Monogram, Decoupage, Picture letter, Photo Letter, Perfect Gift for; College Dorm Room, Off to College, Wedding, Birthday, Army, Navy, Marines, Air Force, Reserves, Special Units, Sports, Senior Portraits, Family Portraits, Pet Portraits, Memorial, Reunions, Kids Décor, Pet Memorial, Character, Business ads, Awards and Certificates, Engagement, Best Friend, Graduation, Sobriety, Mother's Day, Father’s Day, Grandparent Day, Girlfriend or Boyfriend gift or any occasion! 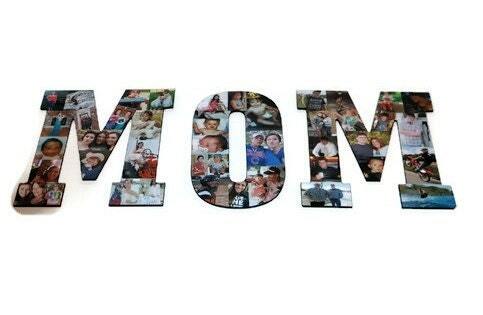 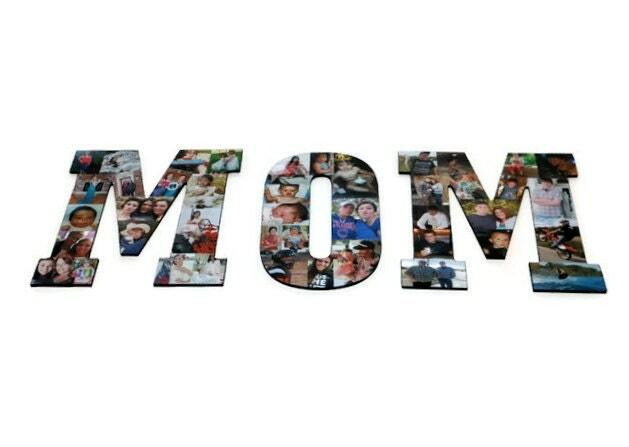 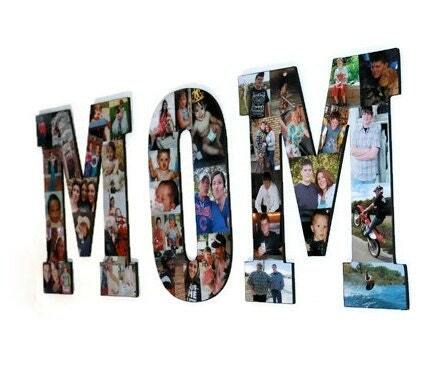 Each wooden design 3 letter word comes with 30-40 of the photos of your choice made into a collage. 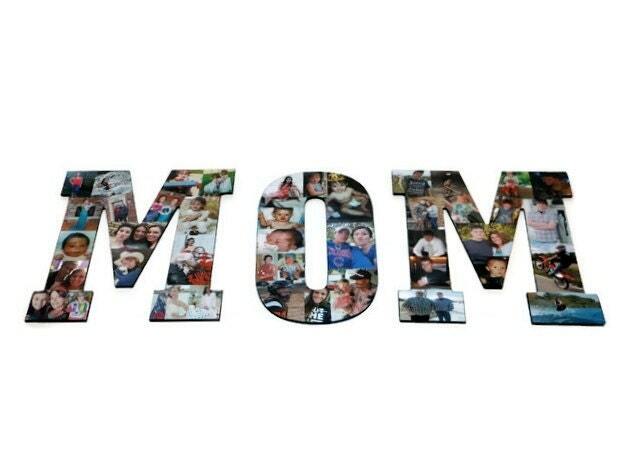 Each wooden design is hand cut.